Prof. Dr. Patrick Shea visited USPCAS-W MUET Jamshoro, he was a part of the group from the University of Utah, USA who visited the Center and conducted various training and capacity building workshops for the students, stakeholders and faculty of the Center. 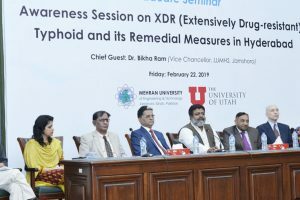 Dr. Patrick Shea, famous lawyer, politician and academician of USA said that academia in collaboration with the government and private sector could work together for the development of the people of Pakistan by uplifting their living standards. 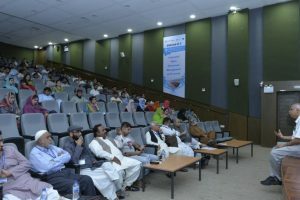 Speaking in the Climate Vulnerability Assessment and Adaptation of Water Systems Workshop organized by U.S.-Pakistan Center for Advanced Studies in Water (USPCAS-W) Mehran University of Engineering and Technology (MUET) Jamshoro, Prof. Shea said that the generally human reaction is to the real world problems is like the duck who slept after certain period of time when it was experienced by depriving her from basic needs like water and food. He said that we need to come up with the model to understand the people and their problems at local level then to bring the positive changes in their lives accordingly. Some changes are to be made and most of the changes are adoptable, he added. He said by modifying the existing system, we have to work hard to improve the quality of water and other related issues of basic needs of the human being in collaboration with the related departments of public and private sector. 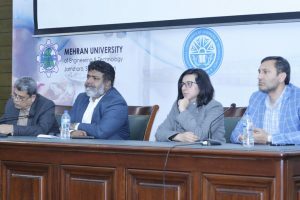 Prof. Shea said that the people from the lower strata of society only concerned the solutions of their related problems, in this connection, the academia and researchers must have to come up the solutions of their problems, if they really want to get their research work recognized. He said that a child dies in every two minutes in countries like Pakistan and the diseases like like malaria and kalra still exists in the country even in 21st Century. He said technology tied the local solutions to the global problems by reducing communication gap and language barriers. He said collective efforts at global level can be undertook for the solution of the communities’ problems, which are very much feasible, applicable and sustainable in today’s world. On the contrary, he said, the individual effort may take a long time to come up with our without solution, therefore, the collective efforts could have a great impact on the lives of the common people. 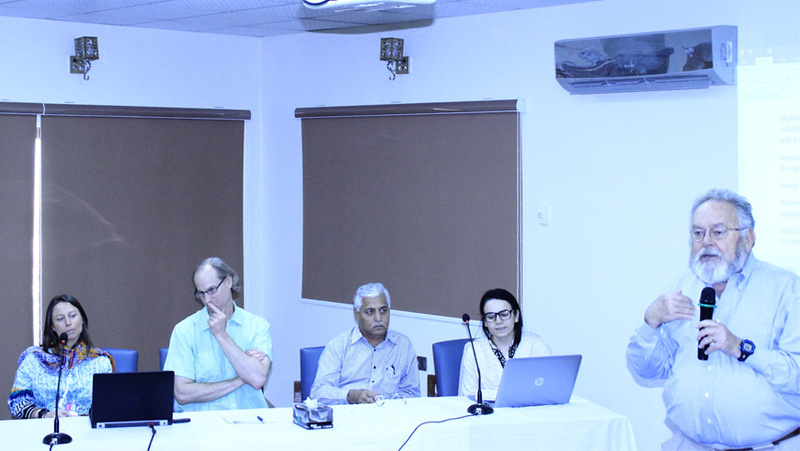 The faculty, students and staff of USPCAS-W participated in the talk delivered by Prof. Dr. Patrick Shea.